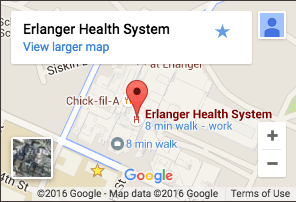 Erlanger HealthLink Plus - Erlanger’s FREE membership program for adults is all about you … your health …your family’s health! Monthly lectures and screenings offered. Breast Cancer Outreach - for the medically underserved population in 12 counties. Community Screenings - ongoing throughout the year. For more information, please call the Cancer Resource Center at 423-778-5708.